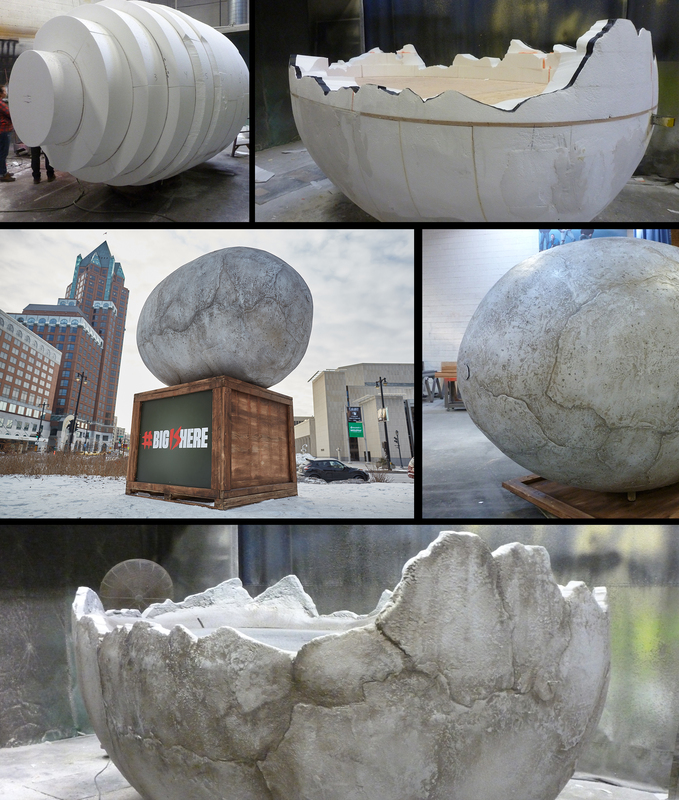 Giant Dinosaur Egg - Ravenswood Studio, Inc.
Perched atop a big shipping crate, in front of the Milwaukee Public Museum, was a very large dinosaur egg created in our studio to announce that a touring dinosaur exhibit was coming. 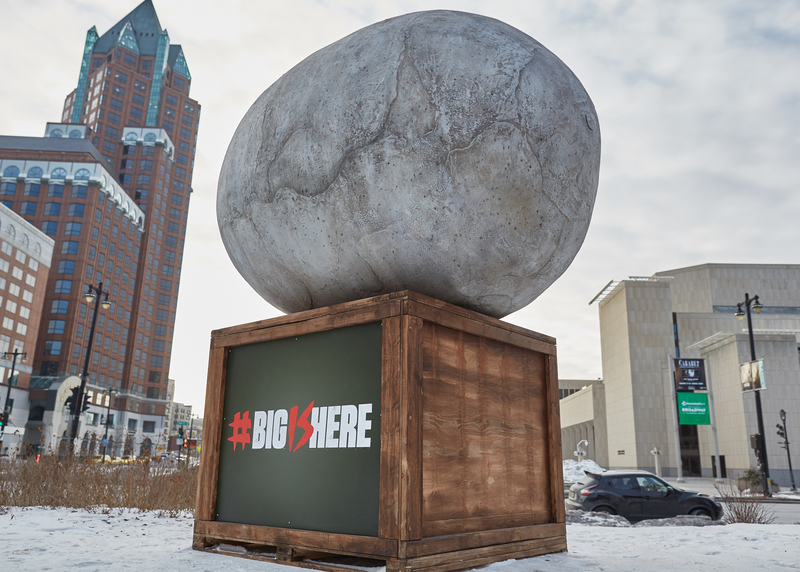 When the exhibit opened, we placed a cracked open egg in front of the museum as if the dinosaur had hatched! This was a project for the marketing agency Cramer-Krasselt.